The young pianist is one of the brightest musical talents of today. A student of Vera Gornostayeva, he is a worthy continuer of the great traditions of domestic piano art that date back to the time of Heinrich Neuhaus. At the age of 25, he is an owner of numerous prestigious international awards, including silver medals from two of Europe’s renowned piano tournaments – the International Chopin Piano Competition in Warsaw (2011) and the International Tchaikovsky Competition in Moscow (2015). Critics have noted the maturity and depth of the pianist’s art, and the convincingness of his renditions of pieces written in different ages – from Handel to Hindemith. 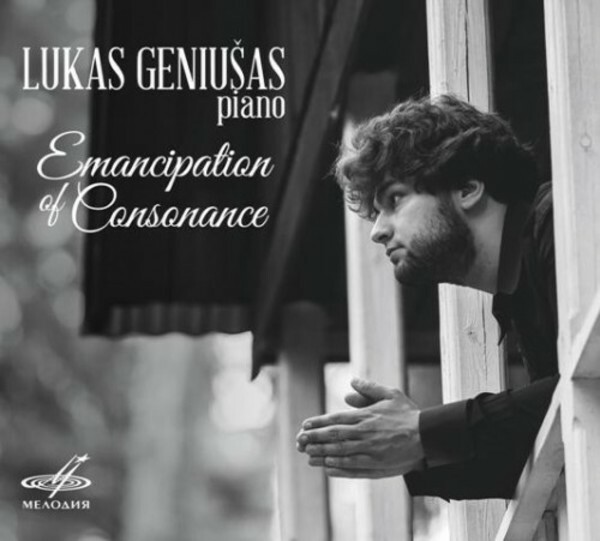 Geniušas’s recordings have been released on NIFC, Art Classic, DUX and Piano Classics. The Fryderyk Chopin Institute previously released a double album of his Chopin recordings, and the Moscow Conservatory released a live recording of the pianist’s recital dedicated to Rachmaninov’s anniversary. This time Lukas Geniušas presents piano cycles of today’s Russian composers – Leonid Desyatnikov, Valery Arzumanov and Vladimir Ryabov. The featured works were composed in the second half of the 1980s in the vein of the aesthetics of the 'new simplicity'. At the same time the music captures a complicated era of total reappraisal of values that was going on in those years in the life and arts of this country. The pianist also provides commentary on the programme of the album.